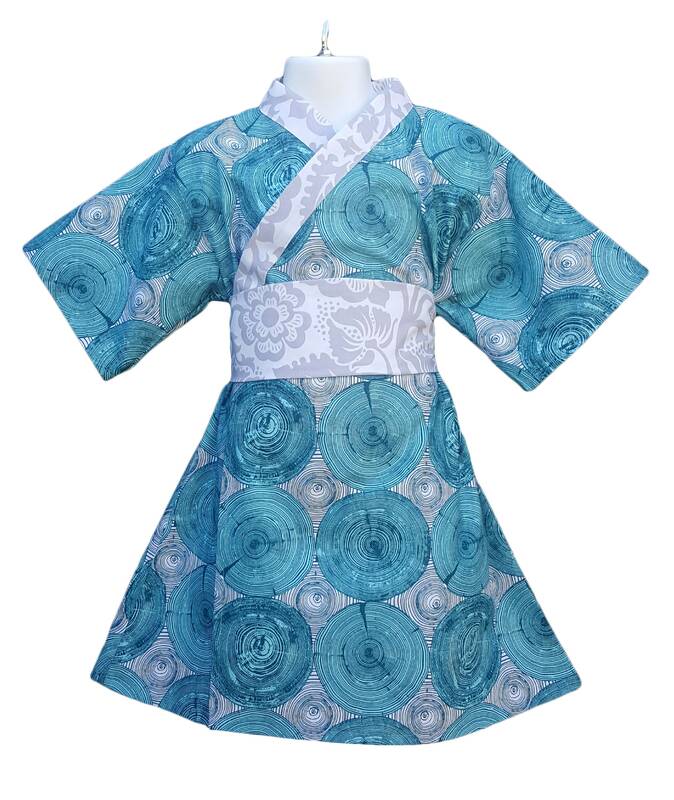 Teal colored Tree growth rings decorate this kimono dress. Paired with a floral gray obi. Perfect for your budding botanist! 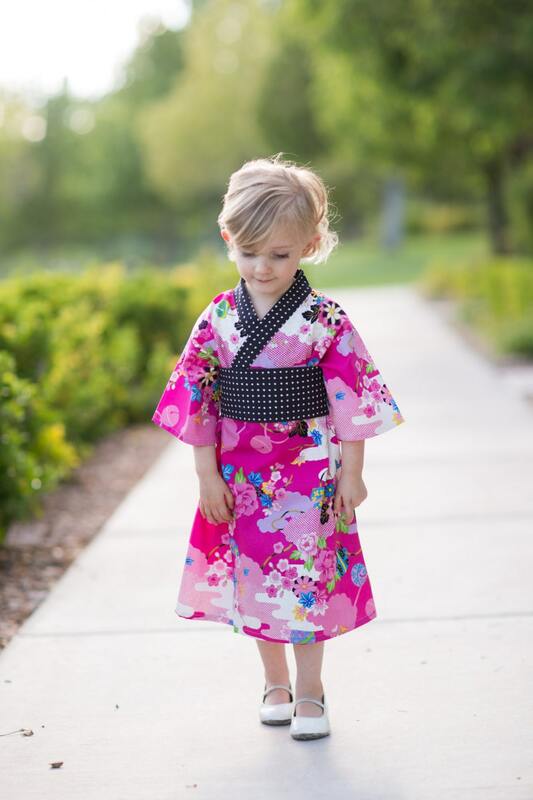 This modern style kimono Yukata is a comfortable and easy-to-wear dress for girls. 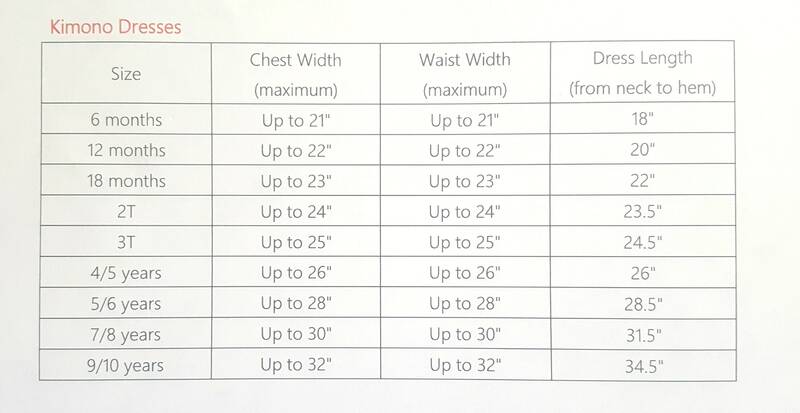 It is made with 100% cotton, so its machine washable, and durable. The dress snaps on the inside and out to keep the kimono closed. It is pulled together with a removable obi belt, which can be tied in the front or in the back into a bow.